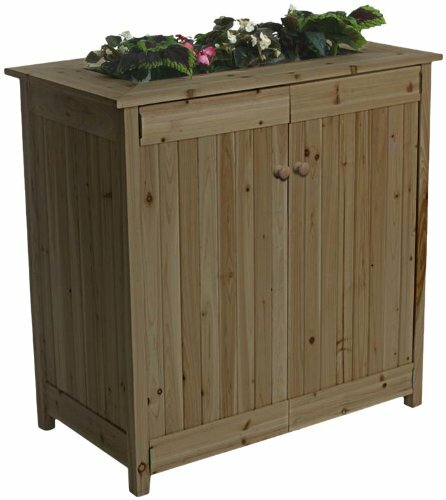 Algreen’s Ergogarden Deck Box and Planter provides Decorative appeal with functional Storage for the Garden, Deck or Patio. This classically designed deck box looks more like a piece of Furniture than a storage box. Enjoy functional storage for All Kinds of Stuff on the Deck or Patio including an integrated Garden Bed. It’s also perfect for Entertaining. 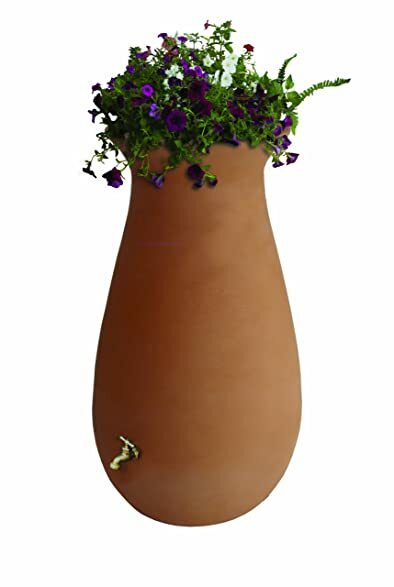 Algreens Athena 50-Gallon Rain Barrel is a lovely addition to your home. It is beautifully designed to give you the classic look of ceramic with the ease and durability of plastic. 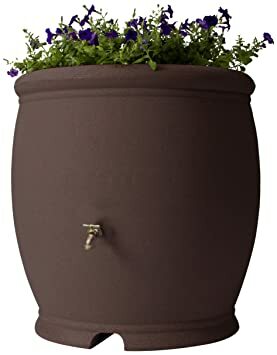 Save money and help conserve water with this rain barrel made of roto-molded plastic which is able to withstand harsh temperature changes and wont chip, crack or fade. Included is a high-quality brass spigot that adds to the elegance of this rain barrel as well as a shut-off nozzle and corrosion proof screen guard. All Algreen Rain Barrels are equipped with two overflows to allow for linking multiple barrels or installing the rain barrel with an Algreen Deluxe Diverter Kit. Collect water for your grass and flower gardens as well as water for washing your car. The Athena is compatible with the Algreen Rain Barrel pump kit for pressurized watering to your garden. Made in Canada. 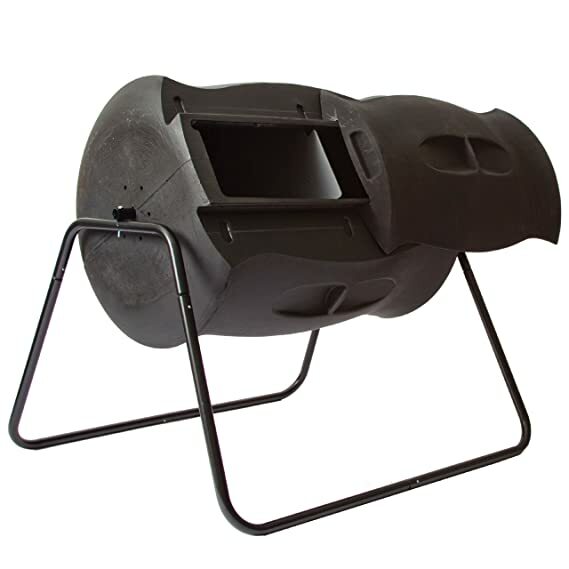 The Terra Tumbling Composter offers a dual-batch design making it practical yet elegant to eliminate organic waste and converting it into compost for your garden. 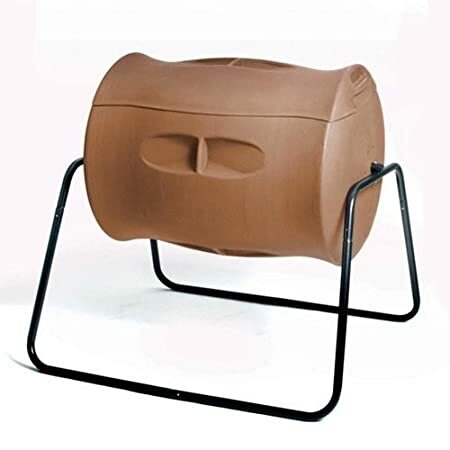 The easy-to-tumble composter reduces the need to manually turn compost piles saving you time and work. The patented dual-batch system prevents the compost from mixing and speeds up the composting process. 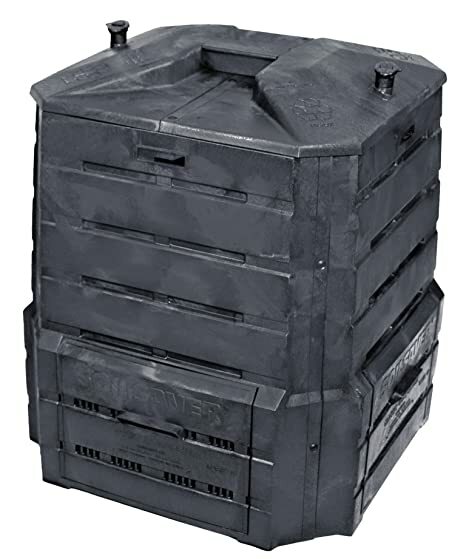 Features include; 55 gallon (7.35 cubic foot) drum, dual-batch separator, secure, extra-wide sliding lid (to facilitate filling and emptying both from the top and the bottom), rodent-proof design, drain for compost tea and a rust-resistant (powder coated) snap-lock steel frame. 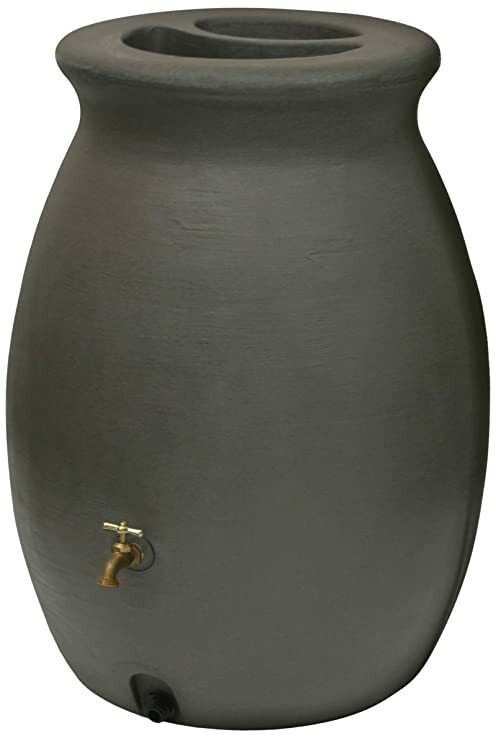 Algreen’s Madison Rain Barrel Fountain is the perfect centerpiece for any backyard garden. It comes complete with an energy-efficient pump, tubing, fountain head, screen, and river rocks. 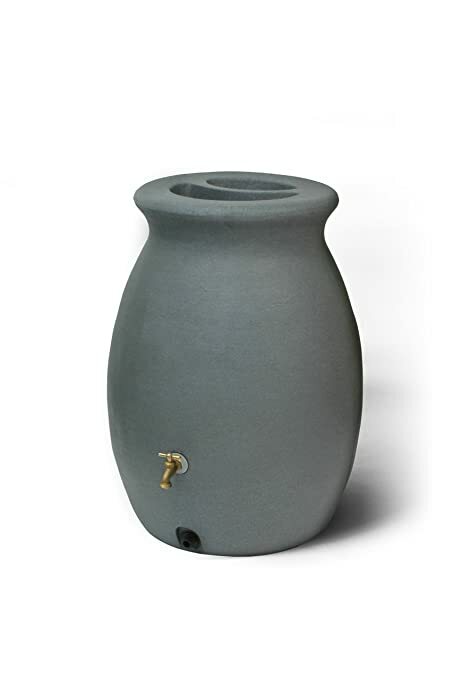 This fountain also comes with a 49 Gallon (185 L) pressurized rain barrel feature. The submersible pump generates sufficient water pressure to directly water a lawn or garden. 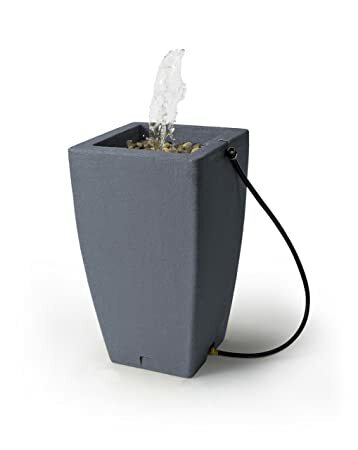 Simply connect a standard garden hose to the fountain head to allow for pressurized watering of your garden. Made in Canada. Algreen combines the timeless esthetics of pottery with the enduring longevity of modern plastics. 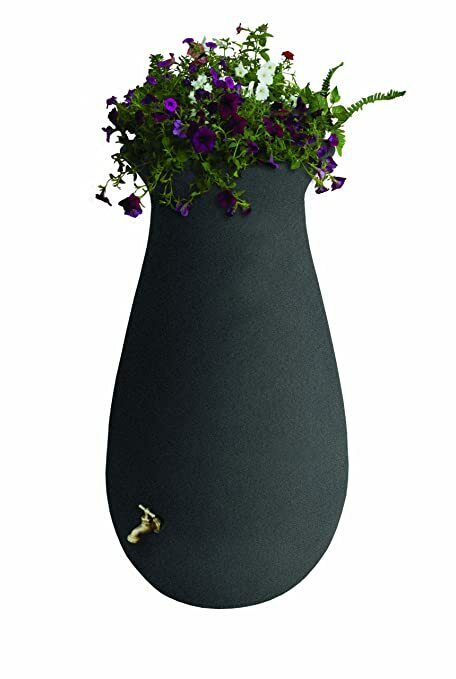 The Barcelona complements any outdoor space with its elegant and functional design along with integrated planter. All Algreen rain barrels are equipped with two overflows to allow for linking multiple barrels or installing the rain barrel with an Algreen Deluxe Diverter Kit. Collect water for your grass and flower gardens as well as water for washing your car. 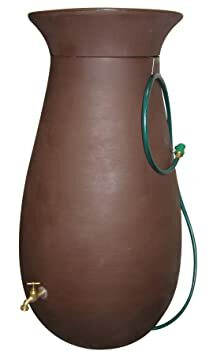 This rain barrel is compatible with the Algreen Rain Barrel pump kit for pressurized watering to your garden. Made in Canada. Algreen combines the timeless esthetics of pottery with the enduring longevity of modern plastics. 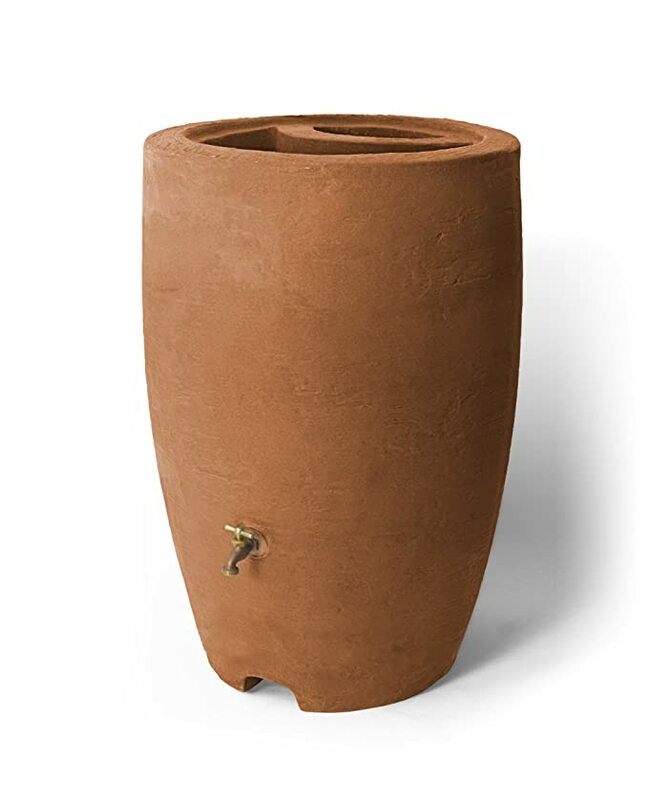 The Castilla complements any outdoor space with its elegant and functional design along with integrated planter. All Algreen rain barrels are equipped with two overflows to allow for linking multiple barrels or installing the rain barrel with an Algreen Deluxe Diverter Kit. Collect water for your grass and flower gardens as well as water for washing your car. 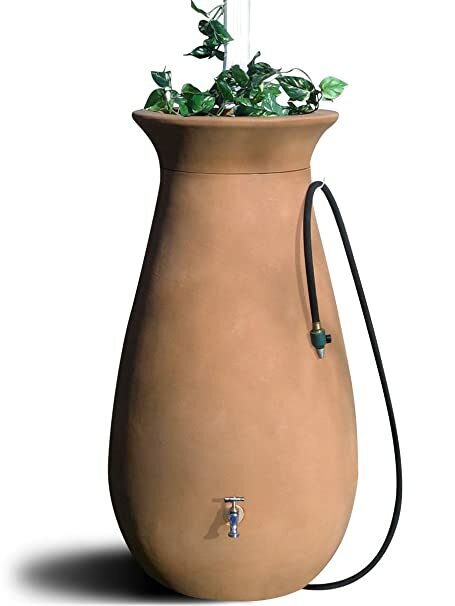 This rain barrel is compatible with the Algreen Rain Barrel pump kit for pressurized watering to your garden. Made in Canada.